At Domotex 2019, which opens its doors to the public between January 11 and 14 in Hanover, everything will revolve around connectivity and networking. In the second year following the grand relaunch of Domotex, the world’s leading trade fair for floor coverings, the organizers in Hanover are sticking to their guns: The successful new concepts and formats are going into the next round and the 2019 event looks to be absolutely thrilling once again. The upcoming Domotex edition will be held under the guiding theme of “Create’N’Connect” – with a focus on the “mega trend” connectivity, a topic that runs through the entire fair like a golden thread. The participants have interpreted the topic in highly individual ways, with solutions related to technology, culture, and sometimes very much to practical use – after all, floors often constitute a shared and connecting foundation. And, like every year, Domotex itself is also going to be a huge network node – more than ever it will be connecting exhibitors and visitors, creatives and manufacturers, retailers and clients. Connectivity is the order of the day in the “Framing Trends” section, the core of the fair in Hall 9. 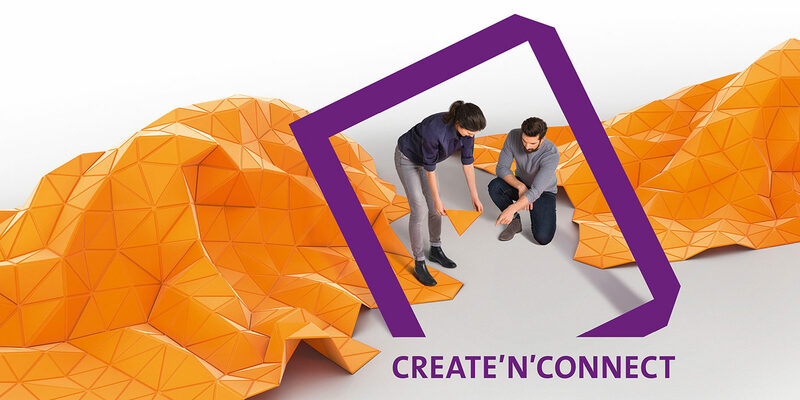 On special areas, manufacturers, creative professionals and universities will showcase their visions relating to the motto “Create'N'Connect” in the shape of exciting presentations. 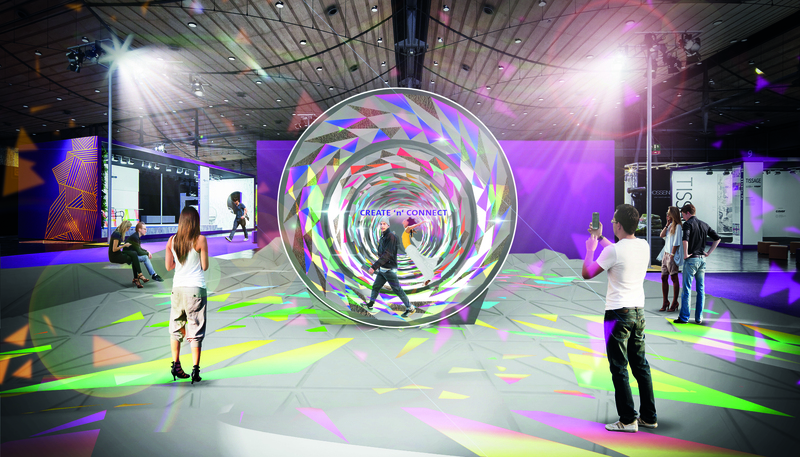 These may center on anything from fluid transitions between materials to technical features that visitors may interact with. 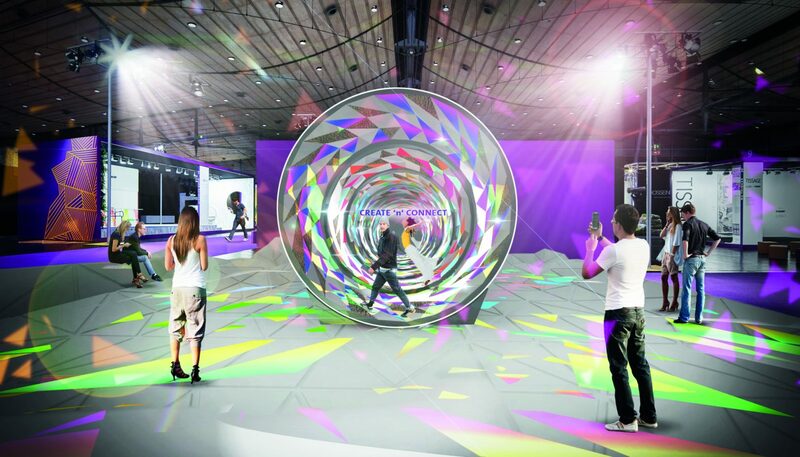 The "Creativity Wheel" is one visitor attraction at Domotex 2019. The internationally renowned speakers invited to the “Talks” lecture program taking place on the stage in the “Framing Trends” area in Hall 9 will also be illuminating different facets of the connectivity theme. 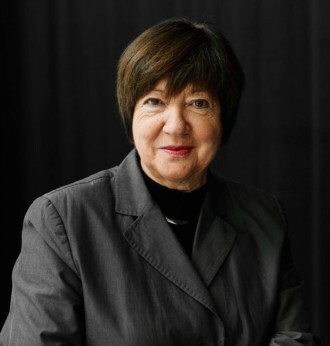 Designer Sebastian Herkner will, for example, be speaking about the topic “Connected by Technology” on January 11, and architect Ester Bruzkus will be lecturing on the topic “Connected to Social and Cultural Patterns” on January 12. 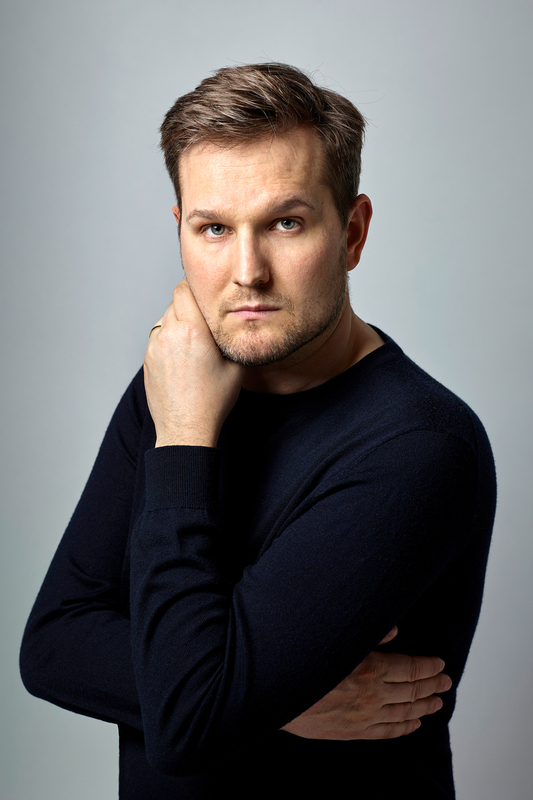 The internationally renowned designer Sebastian Herkner speaks at the "Talks" lecture programme. The guided tours are great for gaining an overview of innovative products and solutions in the premium segment at Domotex. Here, architects and design experts show visitors around the fair and present their personal highlights on the guiding theme “Create'N'Connect”. Tours are given, among others, by architects Peter Greenberg (Ester Bruzkus Architects) and Polina Goldberg (Tchoban Voss Architects) as well as design journalist Martina Metzner. 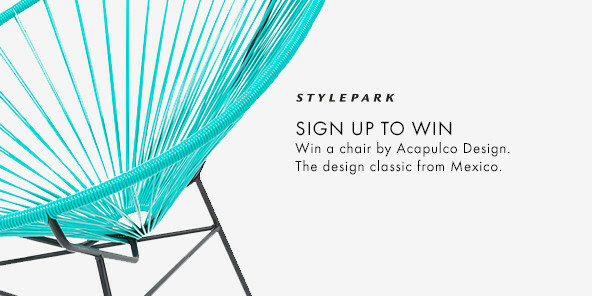 With: Susanne Schmidhuber (Schmidhuber), Hendrik Müller (einszu33), Peter Greenberg (Ester Bruzkus Architects), Marina-Elena Wachs (Marina-Elena Wachs – Material & Design), Martina Metzner (abaut – editorial office for design and architecture), Roland Bondzio & Petra Wollenberg (behet bondzio lin architekten), Polina Goldberg (Tchoban Voss Architects) and the NuThinkers young designers. At 10 a.m. to 12 noon and at 3.15 to 5.15 p.m. on all four fair days. Saturday, January 12, 2019, 1 to 3 p.m.
Sunday, January 13, 2019, 1 to 3 p.m.
Monday, January 14, 2019, 1 to 3 p.m.
With: Prof. Dipl.-Ing. Ingo Krapf (Fachhoschule Trier), Prof. Dipl.-Ing. Oliver Hantke (Hochschule Wismar), Prof. Dipl.-Ing. Frank Nickerl (Detmolder Schule für Architektur und Innenarchitektur) and students of the respective universities. 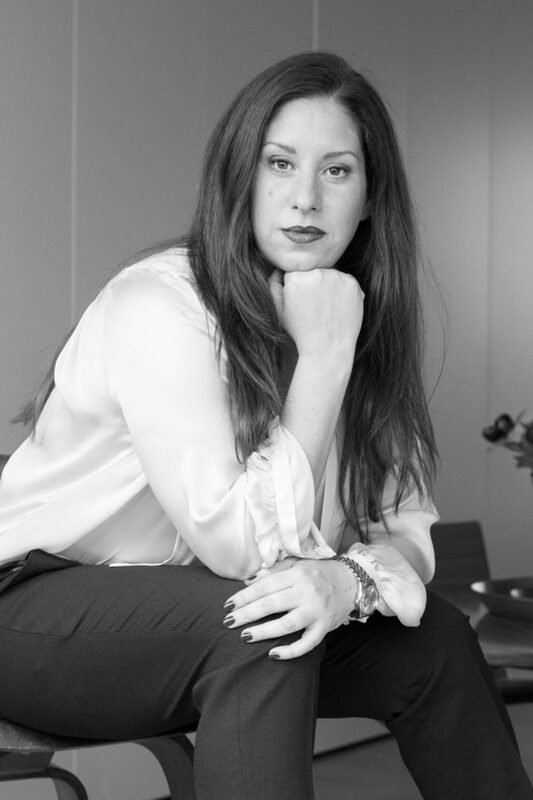 Sonia Wedell-Castellano is the new Director of Domotex, the world’s leading trade fair for flooring. Fabian Peters talked to her about future plans for the fair and Domotex 2019, taking place in January. This year Domotex repositioned itself with a new trend section: Alongside inspiring installations by artists, there was a spectacular display of new design floors, laminates and carpets – which allow for personalized solutions thanks to state-of-the-art digital technologies. Under the motto “Individualization”, brand architecture office Schmidhuber has created a richly facetted trend area for Domotex, which is repositioning itself. 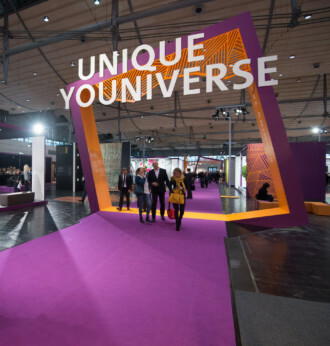 Suddenly floor covering is becoming individual and the ego endless: In this interview Susanne Schmidhuber explains what is behind “Unique Youniverse”, the trend show at the newly aligned Domotex fair.